Who says you can’t produce beautiful and profitable promotional products while still doing right by Mother Earth? Not Green Giftz, that’s for sure. 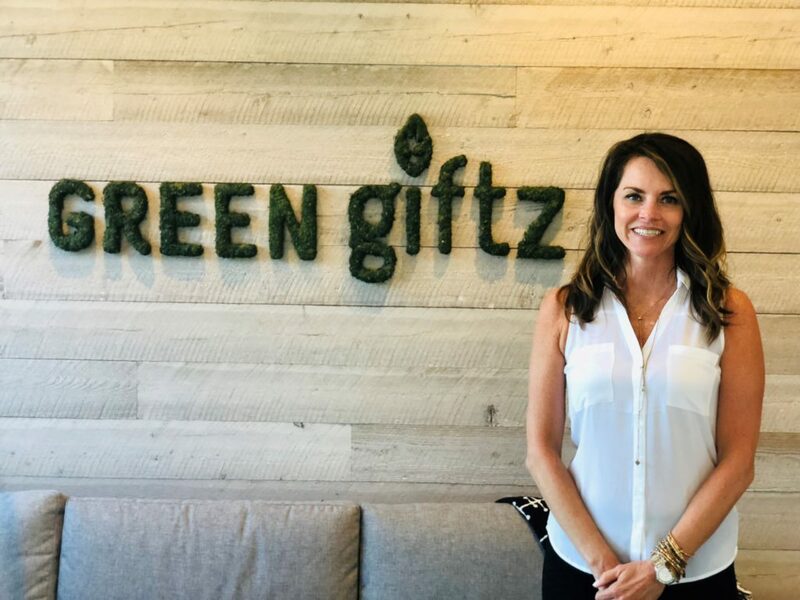 Green Giftz is a certified Woman-Owned Small Business that specializes in custom, high-design, earth-friendly gifts for corporations that help them stand out in the marketplace. Their products are made from industrial waste materials such as fabrics, wood, and alloys, which they design and sell to their clients to give as gifts for their own clients or employees. “That’s the beautiful thing; you don’t have to sacrifice quality, design, or profit to do what’s right for the planet!” said Karen Scarpino, President & CEO of Green Giftz. Tell us more about your ad agency approach to working with your clients. Scarpino: We take the time to sit down with our clients and ask them about their objectives and what messages they are trying to convey. We listen to them, try to find the best possible solution that reflects their brand, and always end up with a product that is meaningful, one-of-a-kind, and happens to be good for the environment too. That consultation service is free-of-charge! Can you give us an example of a client you were able to do this for? Scarpino: Chrysler reached out to us because they were giving out sustainability awards and needed us to design the physical prize. They originally contracted a different promotional product supplier, but that supplier came back to them with an award that was produced in China and may have even been made of lead! So they found us on a Google search and asked us to design an earth-friendly award for them. We created custom awards made of the timber found drifting around the Great Lakes here in Michigan. No new trees were cut down to make them, the metal bases were made locally, and the glass portion was made from recycled glass. Scarpino: Back when we were just called “Promotional Impact,” we were just doing promotional items. Herman Miller was my first client after I left my agency job, and working with them immediately meant learning about sustainability. They are true leaders in that movement… and once you get bit by the green bug, you never go back! Green Giftz is a long-time Chamber member! What are some of our programs that you’re most passionate about? Scarpino: I’ve been a part of the CEO Roundtable program since 2001. I think I might be your longest running participant! I truly believe in that program and encourage any business owner or executive to join. It’s so great to learn from other entrepreneurs and bounce ideas off them. You really get what you put into it. I think it’s essential to have peer learning when you’re a business owner.